Before the confetti and the fireworks of 2013 glitter through our skies, our global neighbors teach that we must first take a little time to dream. You see, if we imagine our futures as bright and as shiny and as real as the stars above us, we come that much closer to realizing our dreams. It’s called positive thinking. 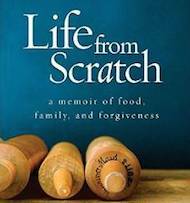 And all around the world, people accomplish this through a brilliant collection of New Year’s food traditions. 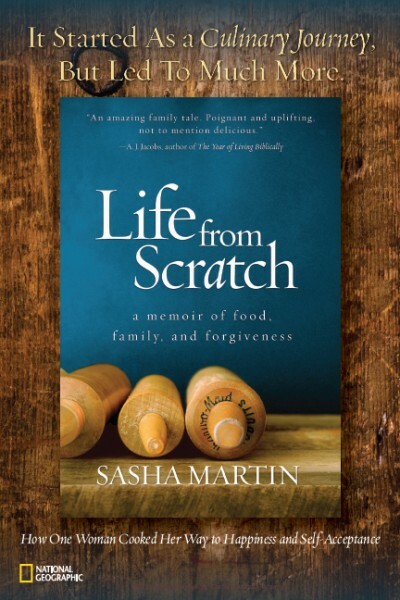 These food traditions aren’t just another nice meal with a game attached; they’re a way to represent everything we want for ourselves and our loved ones. When we eat symbolic meals, it’s the best kind of positive thinking (hello, happy tummies and hearts). 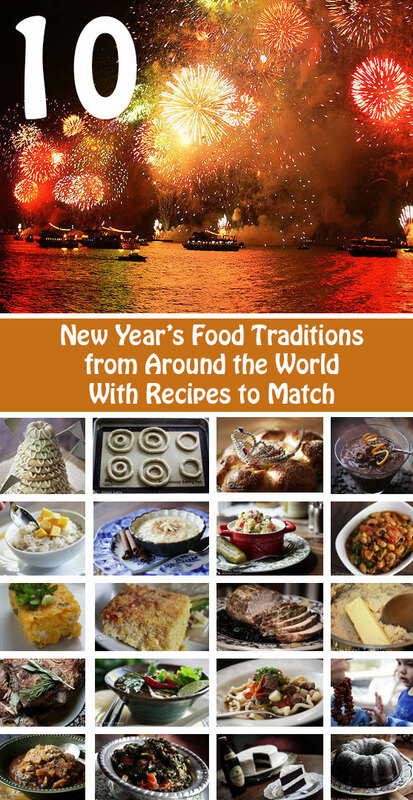 Here are my favorite New Year’s food traditions from around the world, with recipes pulled from our archives. 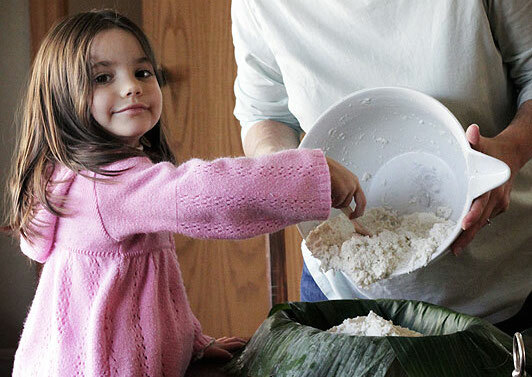 Try one this year to make your very own Global New Year. Rings are a symbol both of continuous love and of “coming full circle.” Any food made in a ring shape is a great choice to celebrate the New Year because it is said to bestow upon the people a promise of love and completeness in the year to come. 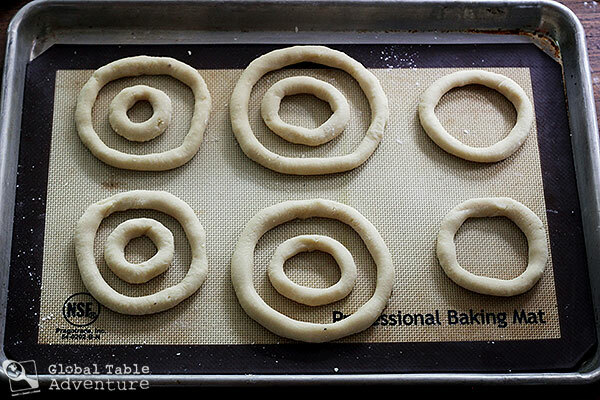 While donuts and bagels fit the bill, many cultures, especially in Europe, are particularly fond of ring cakes. I adore the Scandinavian Ring Cake we made for our Norwegian Global Table. This cake is make from chewy almond paste cookies “glued” together with icing. 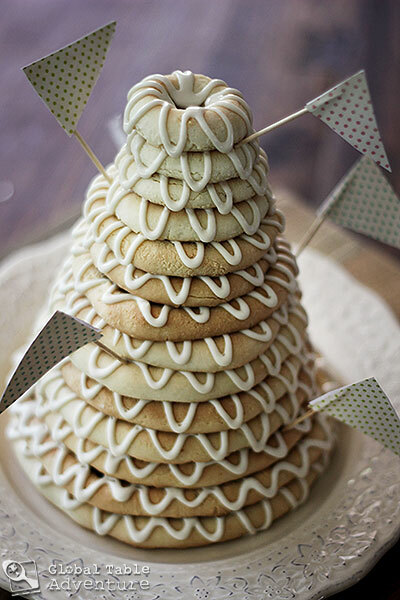 The end result is an epic tower worthy of weddings, birthdays, and – yup – New Year’s. While many recipes use special pans to accomplish this geometric beauty, I did the math so that all you need is a couple of baking pans and a ruler. 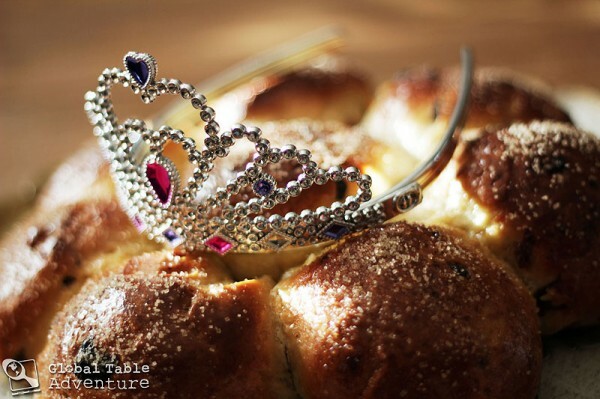 Another great option is the King’s Cake from our Global Table for Liechtenstein. These soft, sweet rolls are made with fresh citrus zest, a twinkling of sugar, and raisins. Traditionally served for Epiphany on January 6, an almond is tucked inside; whoever receives it is crowned King or Queen for the day. Due to the ring shape of the cake, I think it would be a fun addition to a Global New Year’s buffet. 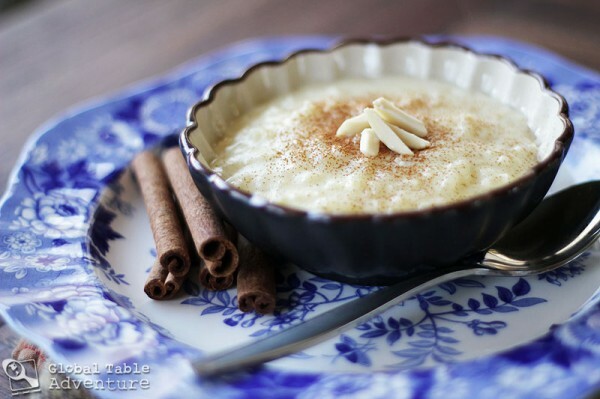 Speaking of hiding almonds… there’s an entire quadrant of New Year’s food traditions that revolves around hidden treats, especially in rice pudding. The hidden prize (usually an almond or raisin) is a symbol of how we don’t know what the future holds, but it also promises that whoever gets the lucky token will receive a year of good fortune. 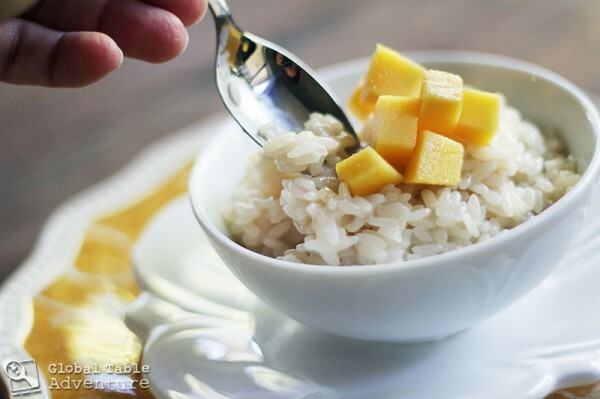 We’ve made several rice puddings over the years, including a Mango Coconut Rice Pudding from Laos, a Macedonian Rice Pudding with cinnamon, and an epic Chocolate and Coconut Rice Pudding from Samoa. 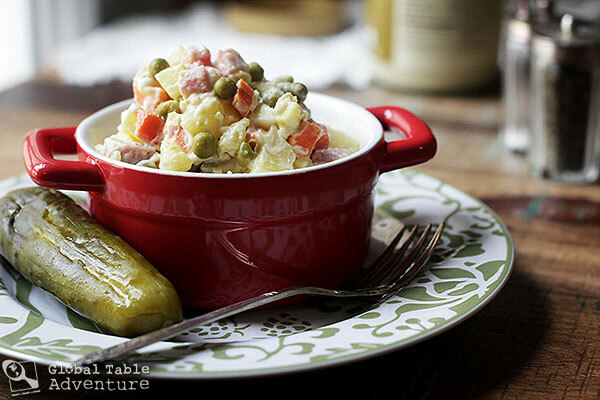 If you’re planning a rough night out on the town, the answer might be Russian Potato Salad, a.k.a. Olivier Salad. This bad boy is a three course meal in one bite. Russians love bringing the ham, pea, carrot, and egg laden salad to any celebration, but especially to New Year’s because of it’s ability to soak up a boozy belly. Speaking of which, some people like to press the salad into a bowl and then flip it over. The resulting dome shape is said to be the pillow upon which a drunken fool can sleep. Really. There’s Red Red, which we cooked for Ghana. 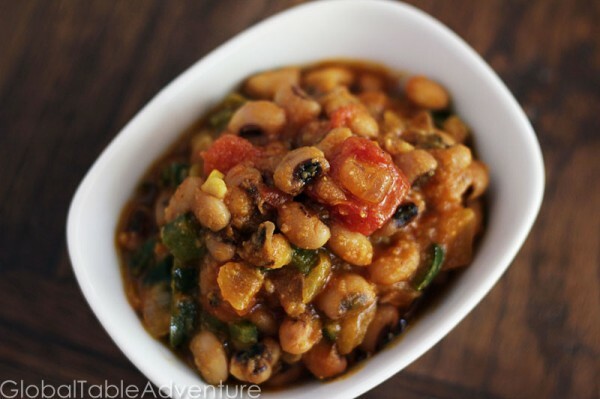 This recipe featured Black Eyed Peas in red palm oil (hence the name). The flavor of red palm oil is rich and unique to West African cooking… and a really fun with the added peppers, onions, and tomatoes. 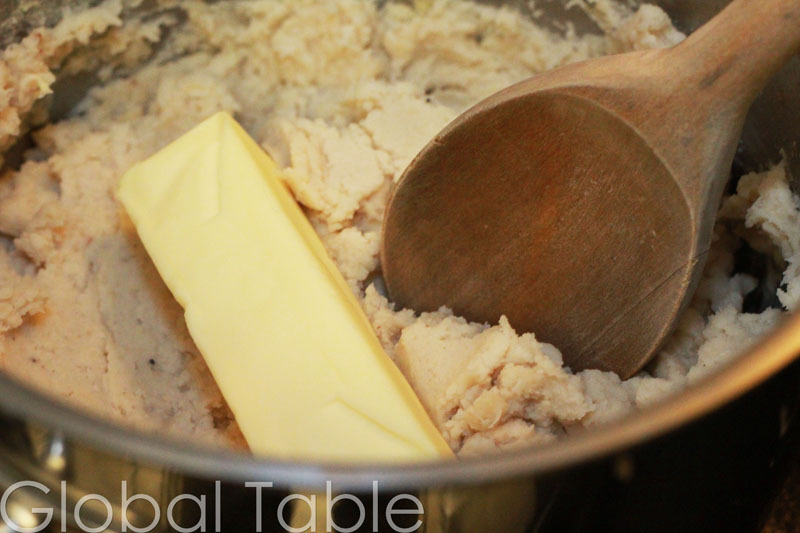 Then there’s Pureed Black Eyed Peas mashed with butter (lots of it) from Benin. This creamy, addictive recipe comes from the early days of the blog (pardon the photography and lack of stovetop travel photos), but if you can handle the task of peeling a pile of beans, you’ll be rewarded with the most comforting puree around. While we’re talking about good luck and prosperity from “coin” beans, what about good-ol’ fashioned “gold”? Have no fear… if you’re looking to bring more gold into your life, you simply need to eat some cornbread (traditionally served with the black-eyed peas). We’ve made two great cornbread recipes during this Adventure… both of which would make a delightful addition to any New Year’s spread. 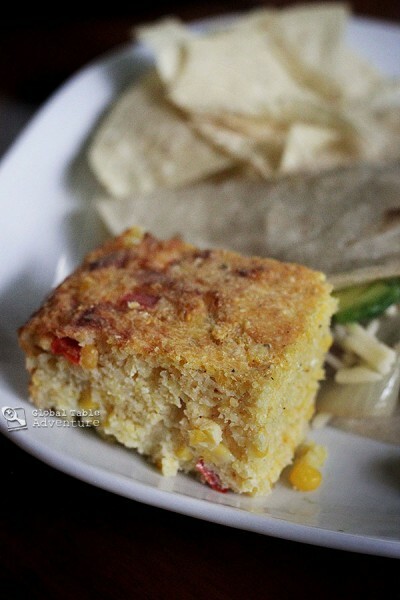 The Paraguayan Cornbread, loaded with peppers, onions, real corn, and tons of cheese, is Mr. Picky’s favorite. The Albanian Cornbread, made with feta, green onion and paprika, is one of mine. Have you ever watched a pig walk? They root their snout into the soft earth, and inch their way forward. 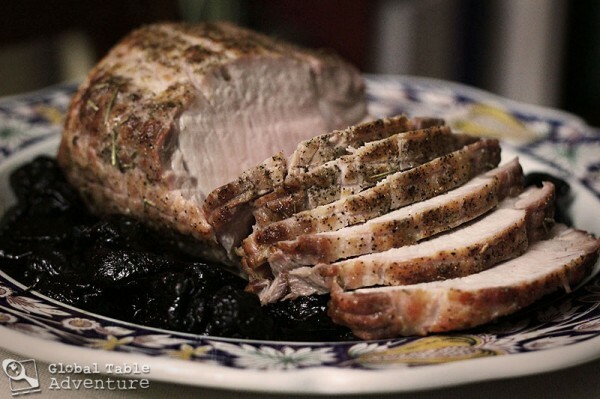 This habit has created yet another New Year’s food tradition around the world: “roast pork” for progress in the year to come. 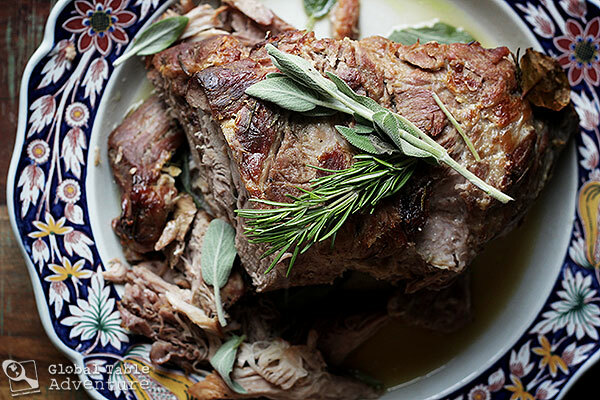 Why not try a Roast Pork with boozy Prunes from Lithuania, or a Milk and Herb Braised Pork Roast from San Marino (that tiny country inside of Italy) to help you make progress on that DIY project or workout goal? In Asia, long noodles represent a long life… as long as they aren’t cut. 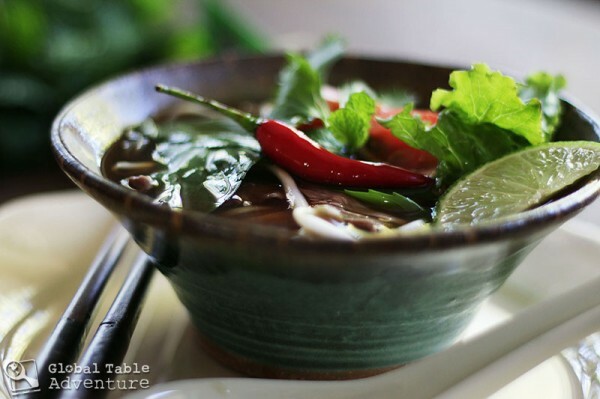 Why not invite some friends over for a noodle slurping night? 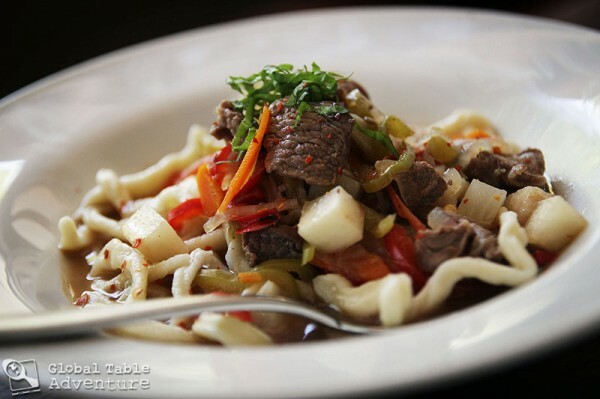 We’ve made some really awesome noodle dishes, but my favorites are Laos Rice Noodle Soup (a DIY soup made with fresh herbs, raw beef flash cooked in the hot broth, limes, and more) and Lagman Shurpa (an amazingly simple but flavorful lamb, carrot and turnip soup with homemade noodles and seasoned with basil, from Central Asia). Spanish and Portuguese folk have been eating 12 grapes for good luck on New Year’s for more than a hundred years. The game is to eat them all before the stroke of midnight. Apparently it all started as a way to use up surplus grapes. You don’t need a Global Recipe for this idea, just some sweet produce and an appetite for the good life. Pay attention to which grapes taste sweet and sour though: if the 8th grape is sour, August will be a sour month. 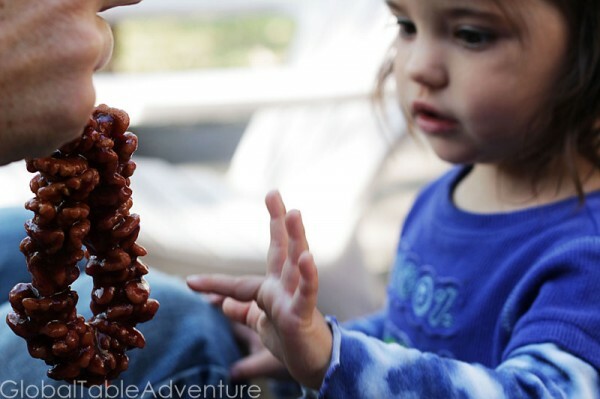 If, however, you do want to cook something a little tricky, try this Grape and Walnut Candy from our Georgian Global Table… Maybe make strings of 12 walnuts per person? 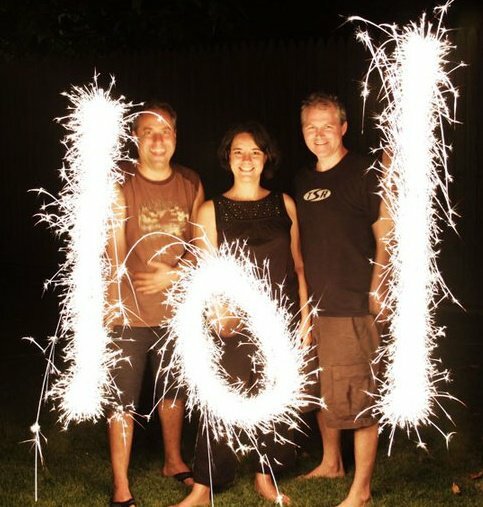 A little creativity is the name of the game when it comes to a Global New Year! Turns out it pays to eat your greens at least one day per year… Foods like kale, collards, and cabbage are eaten the world around to symbolize wealth… the green representing dollar bills. 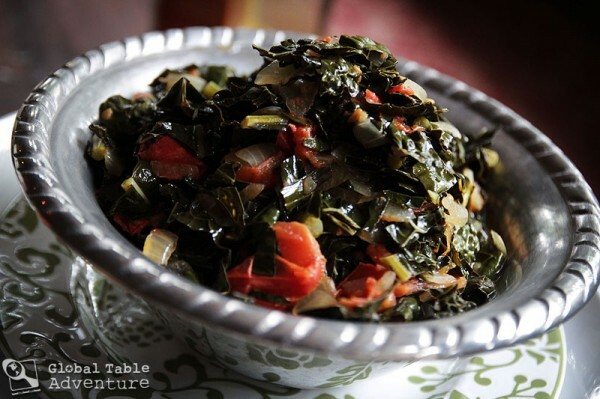 Try Rwandan “Agatogo” with Collard Greens (made with a simple combination of plantains, peanuts, and collard greens) and Kale to “Push the Week” from Kenya, a fresh and flavorful side. I’m not sure it’s an official New Year’s food tradition, but pretty much any food with booze in it seems to fit the bill for a great New Years. My vote? 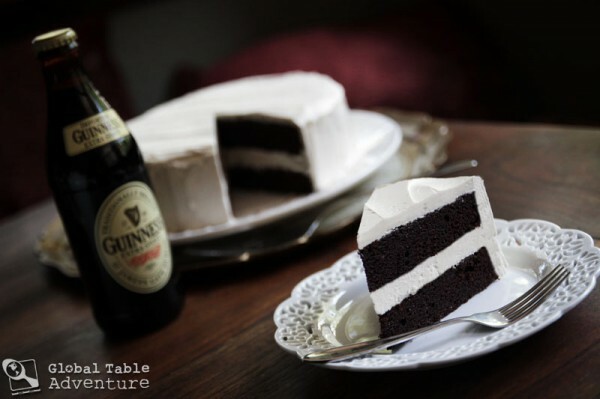 Guinness Chocolate Cake with Bailey’s Buttercream from Ireland. 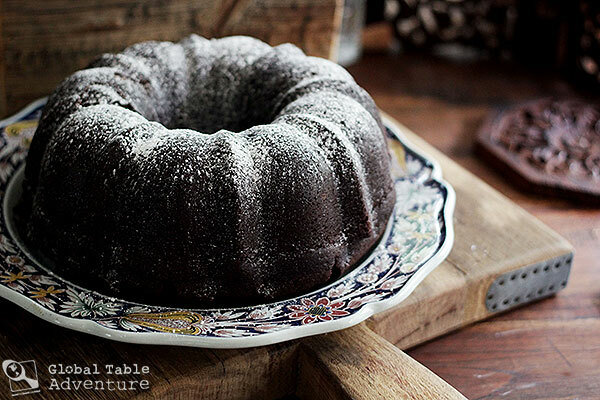 Either that or Midnight Mocha Rum Cake from Panama (bonus: it’s ring-shaped!). Both cakes are so amazing, you won’t even miss the champagne. Unless you wanted to eat them with champagne. Speaking of which… before this Adventure, the only thing that crossed my mind when I heard the words “New Year’s” was champagne. Bubbly. Golden. Ethereal. But once I looked to the world to mix and match my Global New Year’s Table, I realized there are many more beautiful ways to celebrate than just sipping on flutes. Wishing you and your loved ones a most Joyous 2013. See you on Tuesday, when we resume our Global Table Adventure with Saudi Arabia! Oh, I’m so glad you did Sally 🙂 Happy New Year to you, as well!! 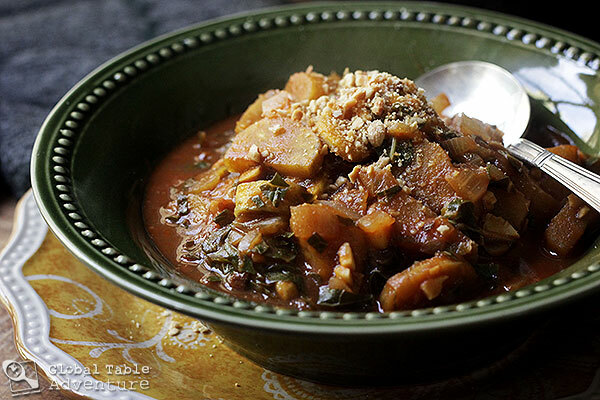 I won’t make you eat lentil soup, although it’s one of my favorites! In Sri Lanka on their New Year there are different traditions, most begin at pretty exact timings (according to the astrological calculations) with cleaning the house and lighting the oil lamp, the cultural and family rituals could include lighting the fire and making milk rice (kiribath) and eating the first morsels. People then share food with their neighbors, sometimes kavum-which is a small oil cake and kokis. I always loved the tipping over of the milk for prosperity and happiness. My family celebrates a new country every week! I could a traditional meal & we all learn about their culture! Good family fun! Thanks for this rundown shasha.I am certainly making red-red and kelewele. Best wishes to your family from ours ! Looking forward to continuing the global table adventures when time allows… This year there will be nothing special for us, we are mainly focusing on simplifying and getting as much rest as we can. 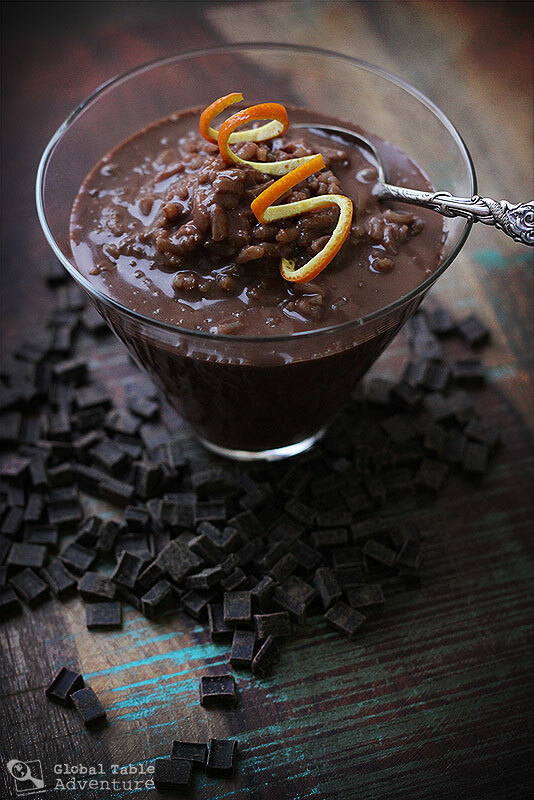 Though, I will probably try the chocolate-coconut rice pudding with my youngest who loves this combination ! “The Simple Life” has been my mantra over the last year or so… it’s such a cleansing approach, when I manage it. Absolutely love this post! I think this is the year for me to give up on black-eyed peas (just can’t seem to find a preparation I like) and try something new. This is just the list I needed. Happy New Year! your food adventures. Good luck! Happy New Year, Sasha! Great to see GTA pop up in my inbox! !